The right residential rehab program can help you learn how to heal, setting you free to live more of your life in love, peace, harmony and joy. The wrong addiction treatment program can set you back tens of thousands of dollars with little to show but a tan and some volleyball skills. 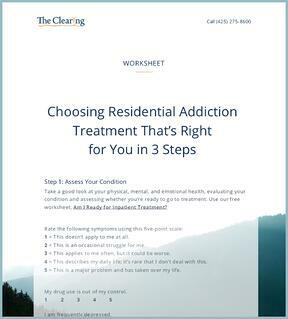 Download the worksheet with three steps to take to choose a program that’s right for you.